1 tsp ground cinnamon or I add 1-2 tsp of gingerbread spice instead. 1 320 g bag of dried fruit. The bag in the picture has dried peaches, apples, prunes, pears and apricots. I chop them up into small pieces. 2 Tbs confectioners sugar or Stevia. Add more to your if needed to satisfy your sweet tooth. 2. Butter a bunt-style pan. You can use oil as well. I sprinkle grated crushed bread crumbs over that. We buy this in a box in Swedish. It is called Ströbröd. It gives a great outer crust. If you don’t have anything like that you can substitute it with flour. This prevents the cake from sticking to the pan. 3. 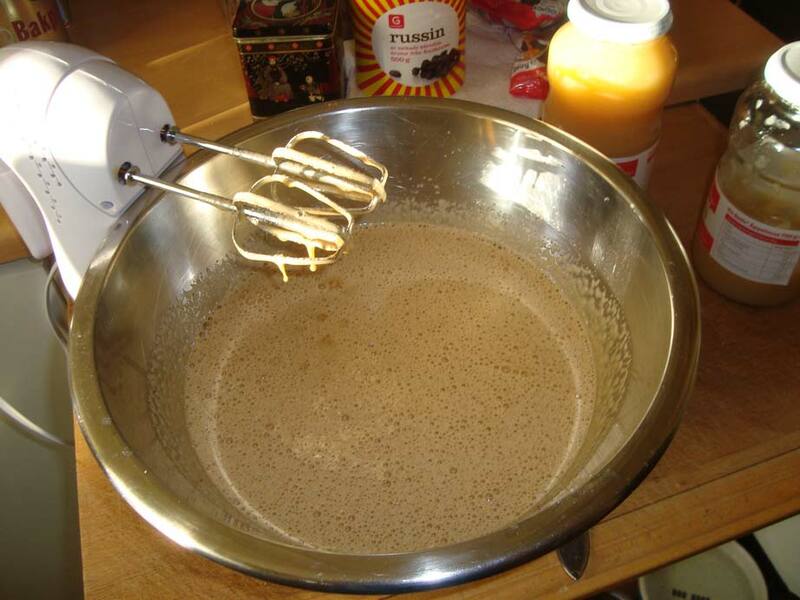 In a medium bowl combine flour, baking powder, baking soda, Cinnamon or gingerbread spice, and salt. Set this aside. 4. In a large bowl, using an electric mixer, together apple sauce, brown and granulated sugar, egg-whites and the zest and juice of the orange. With the mixer on medium speed blend in the flour mixture until just smooth. 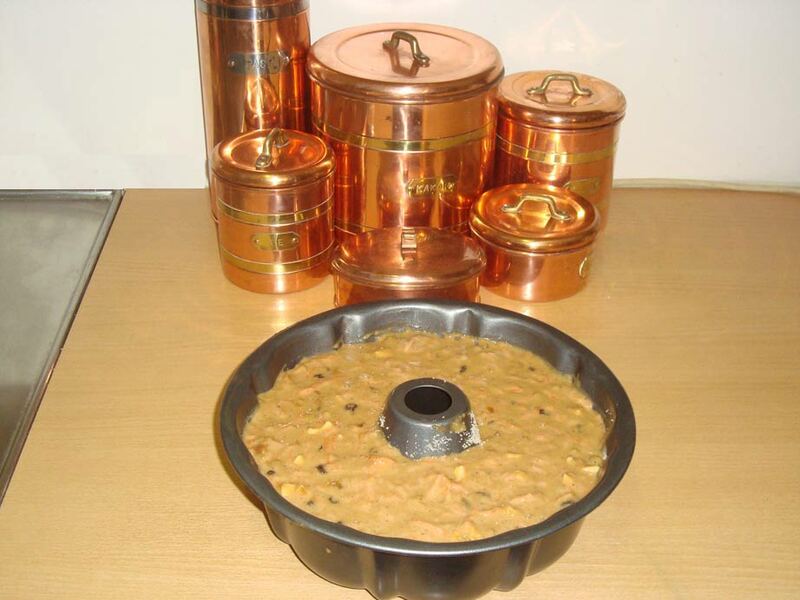 Stir in carrots and raisins. My version of this is I make a meringue. I beat the egg white using an electric mixer at high-speed while slowly pouring the white sugar into the egg whites. This fluffs up and becomes stiffer and a little glossy. I mix the brown sugar, apple sauce and I omit the zest and juice of the orange. Then I slowly fold this mixture into the meringue and beat it with the electric mixer at a high-speed. I use a flour sifter to mix in the flour mixture into the batter until smooth. Then add dry fruit and walnuts. I do this because it makes the cake really moist. This is optional. 5. 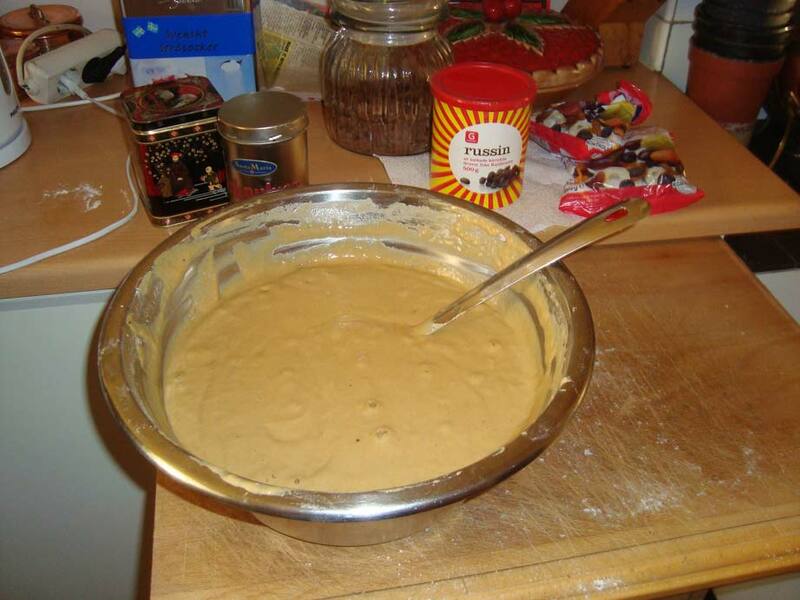 Pour batter in prepared pan or pans and bake for 60 to 65 minutes or until cake tester comes out clean. 6. Remove cake from pan and place on wire rack; cool completely. 7. 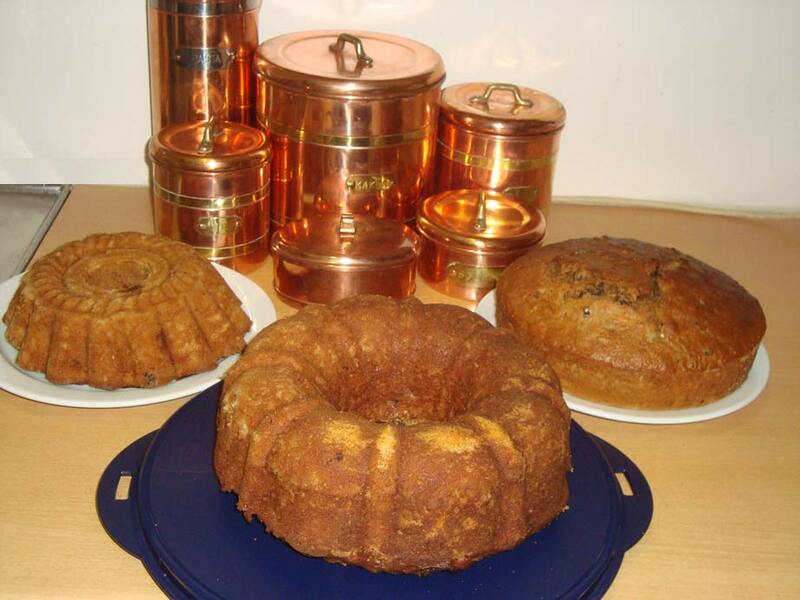 Prepare glaze: Combine glaze ingredients; spoon over cooled cake. I rarely put glaze on this bread. I use it only on special occasions. The cake is delicious on its own. This is all the wet ingredients mixed up. I didn’t whip it into a full meringue because my new electric mixer kept over heating. I was too tired and hurting all over to wait until it cooled down. I was too lazy to pull out my kitchen assistant to let it do the work for me. It is thick and creamy. Hubby jumped into to help me. He mixed in the dry ingredients into the batter. He shredded the carrots. 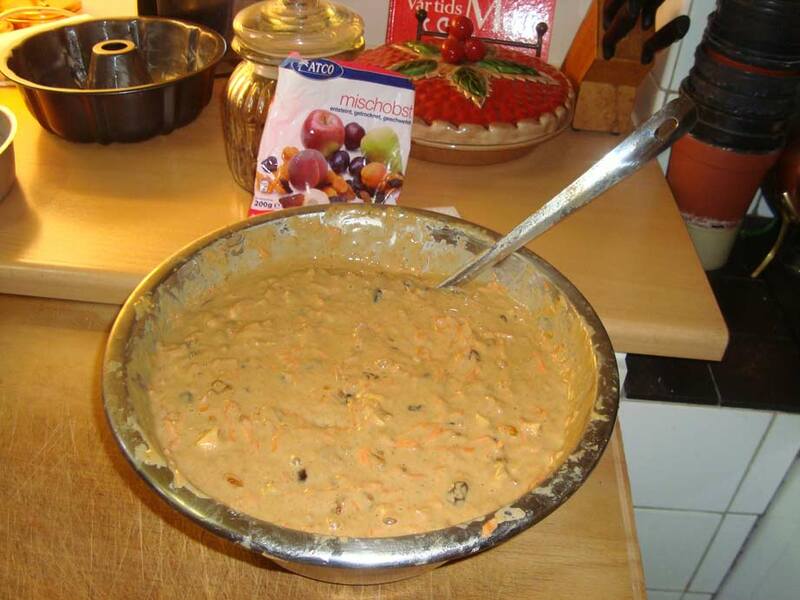 He mixed in the dried fruit, carrots and walnuts into the batter. Hubby just bought me this super size bunt cake pan. You can see how much batter we poured into it. I made a double batch this time. These pictures are of what a double batch makes. I cook these in bread pans as well. I don’t put as much batter in each pan though. The cakes are not as tall. I can make 4-5 loaves. I cut them in halves or thirds and freeze them. I let them thaw on the counter or microwave them. Hubby discovered that our dogs love these cakes as much as we do.